I'm a total history nut. I remember how absolutely boring history was in high school, and how it came blistering alive for me in college, thanks to a professor who made me see that history is about the wild, profane, devious, heroic lives of real people. I got hooked. James Romm is both an author and an ancient historian, and his latest, DYING EVERY DAY, reads as if it is torn from newspaper headlines. From Nero's delusional madness to Seneca's own struggle to keep power, it's both tragic and exhilarating. Thank you so much, James, for being here on my blog. Why did you choose to write about Rome when your background is in Greek history and Alexander the Great? Mostly because the story of Seneca and Nero was the darkest, most compelling story I knew from all my research on the ancient world, bar none. I have felt for many years that I wanted to tell it, even though it took me outside of my comfort zone. I really felt that I understood Seneca in a way that few today do -- that I knew all his literary tricks and gambits, in part because I've used similar ones myself. What makes this so unsettling and dark a book? It's claustrophobic -- almost all the action takes place indoors, in closed rooms of Nero's palace, with just a few people present -- and extremely grim, in that explores Seneca's obsessions with death, suicide, and apocalypse. 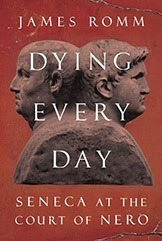 The title "Dying Every Day" was chosen for its double meaning: It defines how Seneca conceived of human life, as a journey toward death, but also describes his own condition, trapped at the court of a dangerous, deluded despot. He had to live out his own morbid vision of life as a journey toward death. What was your favorite character in the book, besides Seneca? I have a real soft spot for Agrippina, Nero's mother, even though she's something of a terror -- scheming, manipulative, volcanic in her anger. She set out to become Rome's most powerful woman, and for a long time, she succeeded. Nero had her killed for no apparent reason; he was simply so scared of her that he had to eliminate her from his life. Her death is the emotional high point of the book, thanks to the unforgettable account preserved by Tacitus. So much of this book reads like fiction. 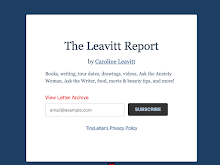 How can you assure readers that it's true? If you read the endnotes, of which I'm very proud, you'll find the ancient evidence for each plot turn is presented for inspection. I'm careful not to go past the evidence or decide points that really can't be decided, such as whether Nero himself set the Fire of Rome. 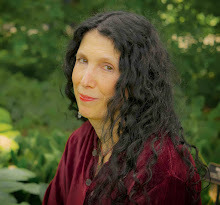 It's more satisfying to me to work within the constraints of historical narrative, yet I like to write with a dramatic tension more typical of a novelist. So hopefully my readers get the best of both worlds!